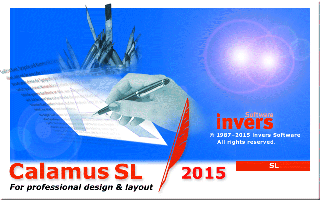 This page offers full versions of Calamus SL 2015 for download. For Windows please use the EXE installer. For Mac OS X, Mac OS Classic and all TOS systems please get the ZIP archives. Attention: This program version requires an SL 2015 matchcode which can be purchased right here if you do not have one already. The modules contained in these archives cannot be loaded or used in older Calamus versions. If you would rather like to try Calamus SL, we recommend the lite edition, which can be used free for 30 days without any charge. Get your lite edition here. Unzip the downloaded ZIP archive (and keep the contained folder structure). Under Windows, call your WinZIP using a right click and chose Extract to folder SL 2015xx_R1 . Doubleclick Calamus.exe (under Windows) resp. Calamus.PRG (under MagiC Mac X or other TOS systems). If you have purchased additional modules for your Calamus SL 2015 for download, please check your private download area My Calamus. You can reach our Service Area in each chapter of our website by clicking on the My Calamus link in the top menu. If you are sure you should have this free update, too, but you don't find it in your Service Area, please don't hesitate to send us a short e-mail. We will then check your module update status. We also recommend the Version Checker module in order to check your module versions.